Table saw’s are great tools to have in any workshop or job site. But are you getting the most out of it? Its probably safe to say that you have done a fair bit of ripping and cross cutting and maybe the odd bevel cut. 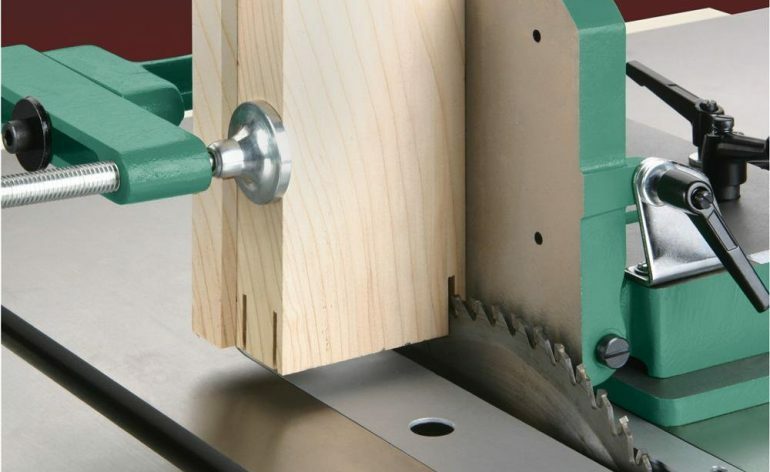 To really begin to realize the potential of your table saw, you will have to use jigs. All a jig really is, is a tool that you can either easily make or buy that will allow you to perform a certain type of cut on your table saw. 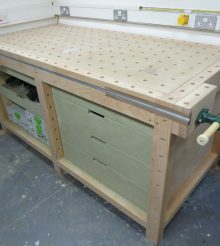 Now the great thing is there are dozens of free plans available that enable you to create jigs from scraps of timber and ply that you may have laying around your workshop. If you haven’t the time to make a jig, or prefer something more harder wearing and accurate there are some great jigs available to buy. Lets have a look at the type f table saw jigs that are available. having a cross cut sled in your table saw tool kit will let you safely and accurately cut perfectly square angles across your table. Instead of using the fence to run your work piece against, you use a jig than runs in the miter slot. 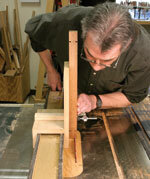 Now making a cross cut sled is something that you can easily make yourself. 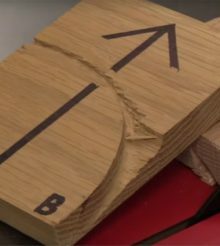 An excellent tutorial is this one from The Wood Whisperer, Its a very detailed video that gives you all the information you need to make your own cross cut sled, as well as a good method on how to check that it cuts at exactly 90 degrees. 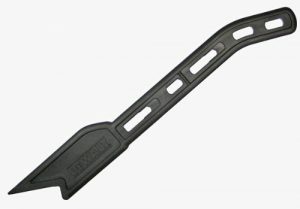 Now,If you feel you don’t have time to make your own, because lets face it a lot of us want to spend time making our projects and not making tools , then it may be worth having a look at one of the manufactured cross cut sleds, such as the one from Rockler. 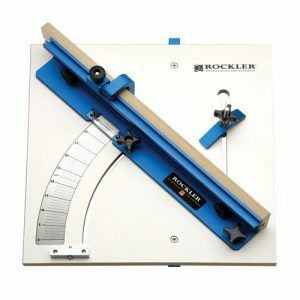 There are many on the market, so its worth having a look around to see whats suits your requirements and pocket This sled from Rockler, fits in a standard miter track and is fully adjustable. 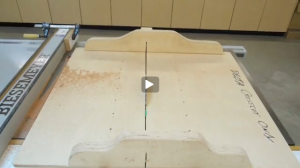 so you can easily and quickly use it to set angles and know that it will be accurate. When you think of feather boards, you may automatically think of router tables. but used correctly that can really help you make cuts with your table saw. when ripping stock, especially smaller pieces on you saw, it can be possible for the workpiece to move away from the fence. 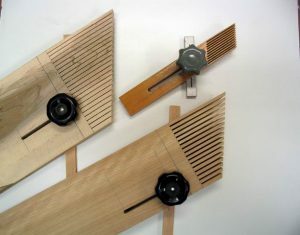 Gord Graff from lumberjocks.com has come up with great design for a simple adjustable featherboard for your saw. 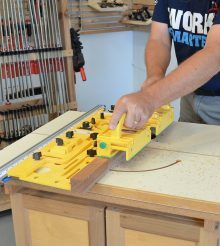 One of the best and simplest jigs you can use with your table saw is a push stick. when you are cutting narrow stock and you don’t want to get your fingers too close to the blade, you use a push stick. And the great thing about them is that they are easy to make, and cheap to buy. some thing like the DeWalt Push Stick can be picked up for under $10. but if you need something quickly then something can be knocked up in probably less than 30 minutes. Head over to woodgears.ca to see how its done.